A-ha. Hence the 50% off. That's fine, I mostly wanted to see what it was like anyhow. 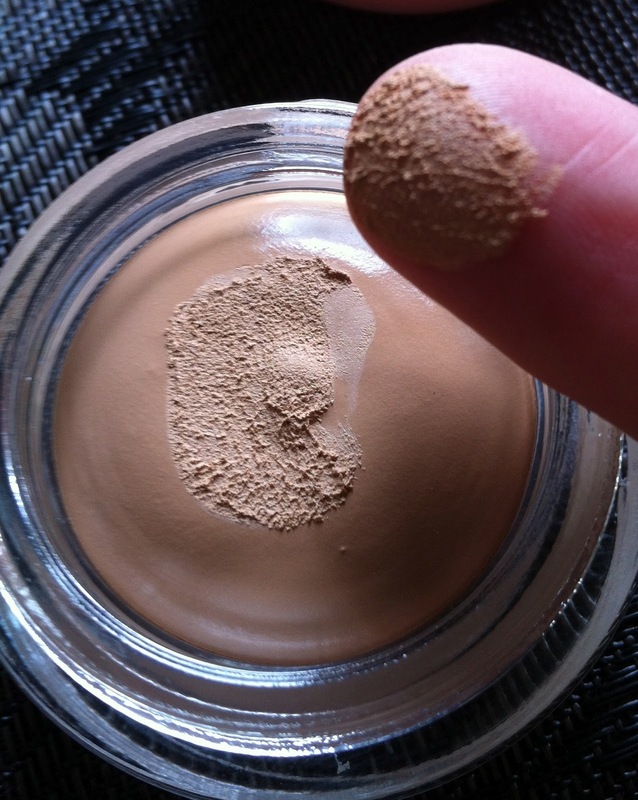 For reference I'm approx NC23 at present (ie irritatingly roughly in between NC20 and NC25) and this was slightly too dark on me (nothing a bit of bronzer on the old neck couldn't fix however) - it definitely looks a hell of a lot darker in the jar than it does on the skin. 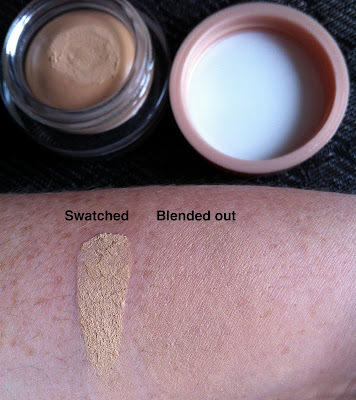 So if you are thinking of going for this, go one up slightly I would say (because you generally can't swatch these so you can't see how the colour works on your skin). 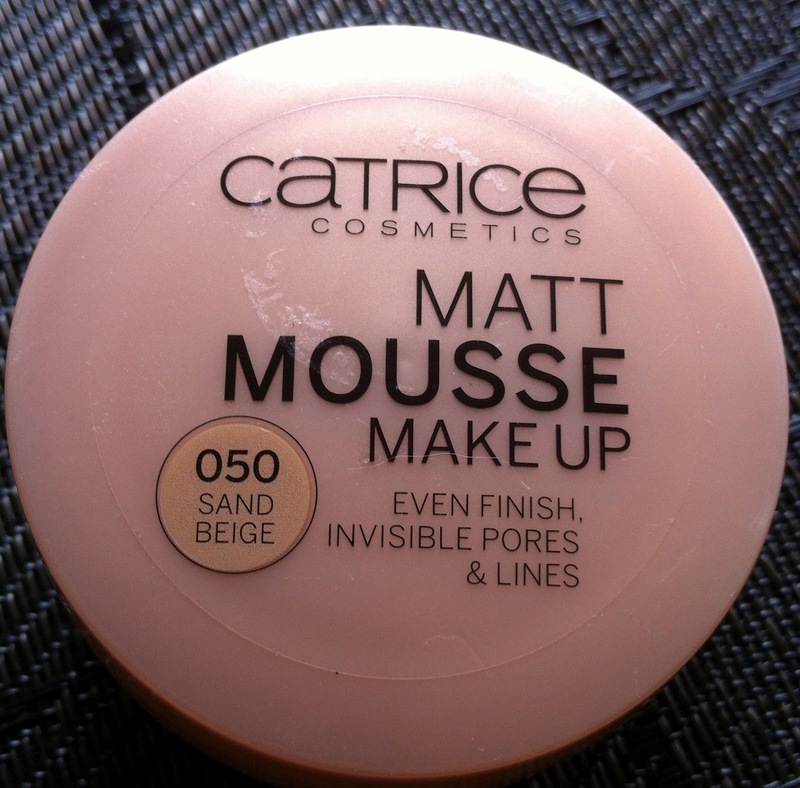 "An improved texture and new colors – the delicate mousse practically melts with your skin and leaves behind a natural, matt complexion. Pores and fine lines? Invisible! Suitable for all skin types." Melt into your skin? Nope: the heavy-duty silicones in this foundation attempt to even-out fine lines and pores, which is grand. They also contribute to the soft feeling on application. But it tends to bunch into those fine lines after a while of wearing, so forget the invisibility claims. All skin types? I have combination skin and I found it very very very drying. I wound up with a dry patch on my skin in one area immediately, and a lot more dry patches joined it after maybe an hour or more. Yuck. This is a very soft, very mousse-y, very bouncy formulation. It does feel lightweight on the skin and it does apply reasonably well, but it didn't blend well into my skin, instead it sat on my face, so it definitely doesn't "melt into the skin" either . It does produce a powdered, uber-matte, light-medium coverage finish, definitely "matt" as claimed but not so "natural". I found that it applied best with fingers. Colour-wise, the undertones are quite neutral (as would seem to be indicated by all of the Beige references above), neither particularly yellow or pink, so in theory it can work for a good range of skin undertones. Texture-wise I found this just plain weird. You can both feel the silicones (slightly oily-lube-y texture!) and the talc (slightly gritty texture) as you apply it. I can see this working on oilier and/or younger skins, but with the silica and talc fillers, it's going to settle into fine lines and wrinkles on more dry or mature skin. For younger skins that are dry, I would say make sure you use a good moisturiser. And you can use a finishing spray to get rid of some of the powdery look, which will make it more "natural" (matte is one thing, sitting-on-the-skin-powdery is another). It lasted about as long as I expected, around five-six hours, slightly short of my seven-eight ish hours "fairly average lastability time" for me for foundation, and bearing in mind that it did bunch a bit and dry patches gradually appeared over the day (I resisted the urge to leave this stuff on and see if they'd all join up eventually). Using a primer made it last a little longer (maybe another hour). I don't recommend using a silicone-based primer with this however, given the large amounts of silicone already present in it. It comes in a glass jar, with 16g (.56oz) of product and contains heavy duty silicones, silica, talc, parabens and titanium dioxide. It's not bad, but it's not for me. At this price (around a fiver at full whack), for a (much) younger skin that's quite oily, and on a budget however, I could see it working.